A loan that is secured by property or real estate is called a mortgage. In exchange for funds received by the homebuyer to buy property or a home, a lender gets the promise of that buyer to pay back the funds within a certain time frame for a certain cost. The mortgage is legally binding and secures the note in giving the lender the right to have legal claim against the borrower’s home if the borrower defaults on the terms of the note. Basically, the borrower has possession of the property or the home, but the lender is the one who owns it until it is completely paid off. Repaying a Mortgage: What is Included? The mortgage is usually to be paid back in the form of monthly payments that consist of interest and a principle. The principal is repayment of the original amount borrowed, which reduces the balance. The interest, on the other hand, is the cost of borrowing the principal amount for the past month. A monthly mortgage payment includes taxes, insurance, interest, and the principal. Taxes are remitted to local governments as a percentage of the value of the property. These tax amounts can vary based on where the borrower lives and are usually reassessed on an annual basis. The insurance payments go toward mortgage and hazard insurance. The property mortgage insurance (PMI) protects the lender from loss incurred if a borrower defaults, whereas hazard insurance protects both the borrower and the lender from property losses. The funds may be held in escrow or the lender may collect the taxes and the insurance. PMI typically is not required if you put 20% or more down on your home. As long as you are not behind on payments, PMI payments are automatically terminated when either you are at the midway point of your loan in time, or when the loan-to-value (LTV) reaches 78%. You can request cancelation when you LTV reaches 80%. 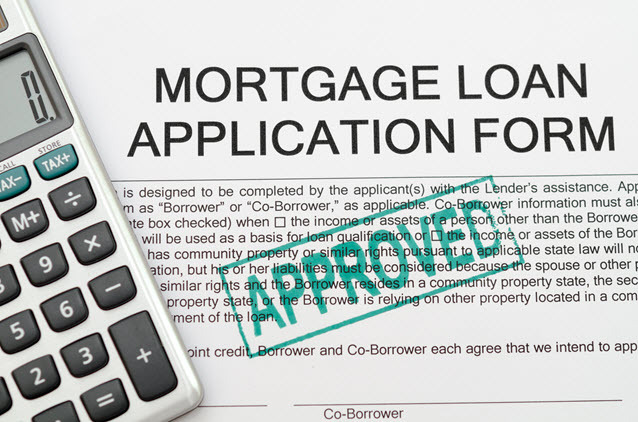 The process of applying for a mortgage loan can be a stressful. The first thing a borrower should do before going to their bank is acquire a copy of their credit report and check it for errors. If there is any incorrect information, it needs to be disputed as outstanding issues can cause a mortgage application to be rejected or lead lenders to charge a higher rate of interest. The borrower should know what type of home is desired, how much they qualify for and what their budget affords. Those constraints can determine the mortgage type and term. The lender receives an appraisal of the property and this appraisal determines the market value of the home, which is used for collateral in the loan. The borrower is charged a fee for the appraisal service and is usually included in the closing costs. Bank information such as the name, address, account numbers, and three months of statements. Three months of investment statements. W-2s, pay stubs, proof of employment and two years worth of income. Tax returns and balance sheets for the self-employed. Debt currently owed, including amounts due and account numbers. Divorce papers, if they apply. Once the application is completed, the lender will review the application and decide whether to deny or approve it. If approved, the last step in the process is the meeting in which documentation is completed and the deal is closed. If denied, the prospective borrower should talk to the lender in order to devise a plan and find out why the application was denied. By law, the prospective borrower should receive a disclosure statement from the lender in writing that states why the application was turned down. Employer’s name, address, borrower’s job title, time on the job, bonuses, average overtime, salary, and students may be required to provide transcripts. Two years of W-2 forms and most recent paycheck stubs. For the self-employed, financial statements for two years and all tax forms must be provided, including a profit and loss statement for the current year. If there are gaps in employment history, there must be a written explanation. A VOE or Verification of Employment form may be sent to the current employer. A closing agent that may work for the lender. The one selling the home must bring the deed with them to the closing. It must be signed and notarized so that the lender can have the deed filed at the county’s Deed Registrar since it is public record. The HUD-1 Settlement statement itemizes the services by the lender that is related to the loan and charges both the seller and the buyer. This is required by federal law. The mortgage note must be signed because it is the buyer’s promise to pay according to the terms. These items include payment due dates, amounts, and where the payments should be remitted to. The statement that gives the actual rate of interest, APR, fees, and other costs is the Truth-In-Lending Statement.